Kathmandu, Dec 5 . Federal Parliament members have pointed out the need of formulating federal laws demanded by the constitution as soon as possible. 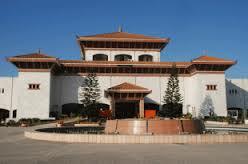 In a meeting of the National Concern and Coordination Committee held today in Singha Durbar, the present members of the House of Representatives; and the National Assembly said a delay in making federal acts and laws had hampered the performance and work efficiency of province and local-level mechanisms. The Article 235 (1) of the Nepal's Constitutions states that the Federal Parliament shall make necessary laws in order to maintain coordination between the Federation, State and Local level. Lawmakers Indu Kadariya, Jeevan Budha, Prakash Pant, Ramesh Prasad Yadav, Ramchandra Rai, Komal Oli and Surendra Raj Pandey expressed their concerns over growing corruption at local level due to as they said lack of formulation of required acts and laws on time. They took a time to call on the government to make a prompt initiation towards that end. National Association of Rural Municipality in Nepal; and Federation of District Coordination Committee, Nepal have sought the formulations of District Coordination Operation Act and all necessary federal laws without any further delay. Also present in the meeting was Finance Minister Dr Yubaraj Khatiwada who said the country was in the very first year of the implementation of federalism and the government had to keep it engaged in other affairs such infrastructure development, employees adjustment, institutional arrangements and so on. Minister for Federal Affairs and General Administration Lalbabu Pandit said the drafts of Federal Civil Service and the Employees Adjustment Act were under discussions in the Council of Ministers and they would be finalized soon. In his response to queries from lawmakers, Minister for Law, Justice and Parliamentary Affairs, Bhanubhakta Dhakal, said the government was fully committed towards the enforcement of the federalism. As said by Minister Dhakal, 339 laws are presently active in the country; and of them, 165 have got a full shape while 165 laws require no immediate amendments. Some laws, out of remaining 174, need to be amended or revised and some new ones need to be formulated. "There is an instant need to formulate 36 new laws," he said, adding that some Nepal laws required amendments.